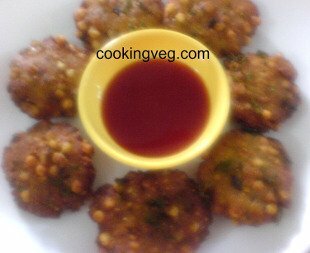 Dussehra Navaratri Festival recipes play an important part in making the Dasara / Navaratri festival more enjoyable. 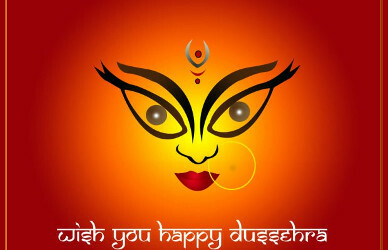 Navaratri / Dussehra is celebrated all over India in the month of October every year. It is the tenth day in the month of 'Ashwin' according to Hindu calendar. The festival celebration may differ in some ways in every state but the number of days remain same everywhere. Navarathri (nav - nine + rathri - night) is a nine day festival and the tenth day is known as Vijayadashami (dasha / Das = ten). Dasara is celebrated as "Nadhabba' (means State festival) for ten days. The old capital of Karnataka, Mysore city palace is illuminated all the ten days. There are cultural programs, music and dance festivals, theater and movie festivals, food festivals, exhibitions are very interesting parts of navaratri and dasara festival. The whole city of Mysore wears a festive look and there are visitors from other states of India. Many foreigners visit Mysore during this time. Hotels and lodges are full. The tenth day, the Vijayadashmi day, there is a procession which is witnessed by lakhs of people. Now a days, this procession is shown live on the TV too. When we mention a festival, the food associated with that festival comes to mind immediately. Our childhood memories link these foods to the specific festivals. We eagerly wait for that favorite festival to arrive so that we can enjoy those foods in that particular atmosphere. Of course now a day, you can have any food at any time. But having a particular festival food during the festival itself has a special charm. Most festival recipes use the ingredients easily available in that particular season and therefore are also healthy for you. Indian festival food is varied and because of the diversity of the regions, customs the variety is endless. The sweets , the namkeens(savories) are so mouth watering, it is difficult to resist them. 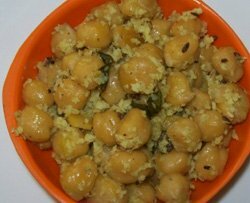 Made with kabuli chana - garbanzo beans, prepared on festivals such as Ganesh chaturthi and distributed to the devotees as prasad, also served as a healthy snack. - Made in Karnataka and other south Indian states. Served as a prasad too. - Made in Maharashtra, Gujarat, Karnataka. In addition to these, you also have many more festival sweets as well as savories as given below. 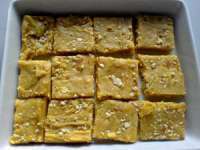 Besan burfi - Indian dessert and festival sweet recipe made with Besan / gram flour/ chickpea flour. 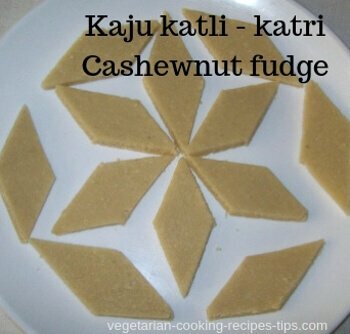 This rich dessert is a Maharastrian / Gujarati recipe. Prepare in advance. Keep in fridge for a week and serve when you want. Indian Festival - dessert recipe - Quick and easy to make. Keeps for long. Easy To Make Sweet with Carrots and milk. Keeps in fridge for a week. 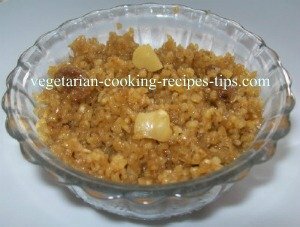 - Healthy breakfast recipe with broken / cracked wheat. 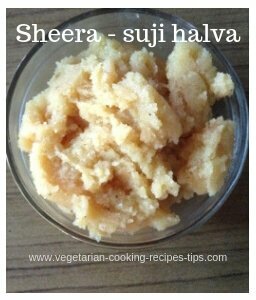 To make it vegan, use coconut oil / vegetable oil instead of desi ghee. 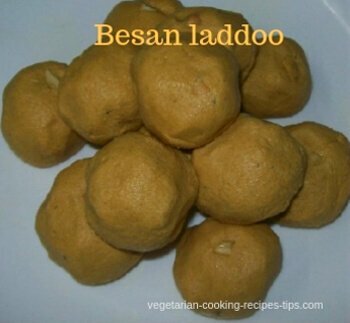 Besan laddo is made with bengal gram dal flour / chickpea flour. A must for traditional festivals such as Diwali festival. 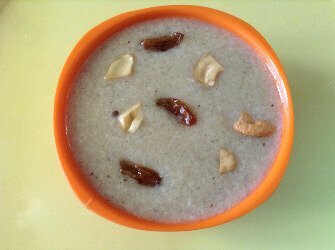 - A rava / Semolina / cream of wheat dish. Breakfast / snack / sweet. Known as sajjige, kesari, sanja in Indian languages. 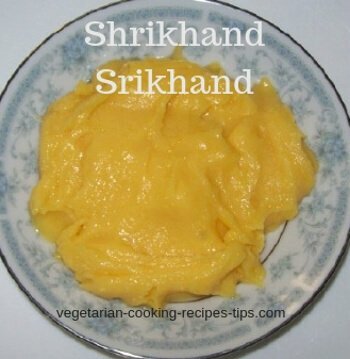 Festival sweet - Curd/ Yogurt based dessert recipe, flavored with saffron and cardamom. 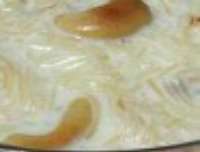 Semiya payasam - vermicelli pudding - Sevai kheer - Shavige payasa, Traditional Indian sweet - dessert. 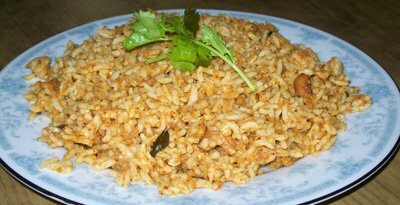 Easy to make South Indian rice recipe for festivals, breakfast and when you want a one dish meal. 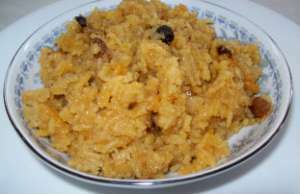 Sweet rice pudding recipe made on Narali Poornima day in Maharashtra, North Karnataka. 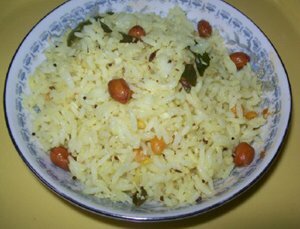 - Mango rice made using sour green mango. 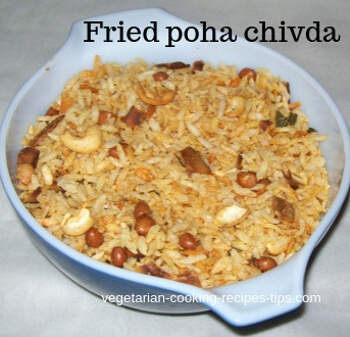 A recipe from South India. A popular yogurt based snack recipe. 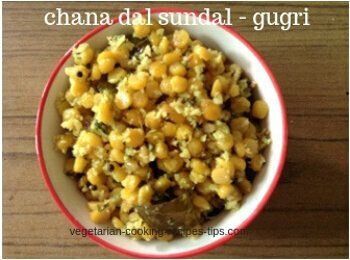 Good for festivals, summer season and as a party dish. Known as thyir vade - mosaru vade in south Indian languages. 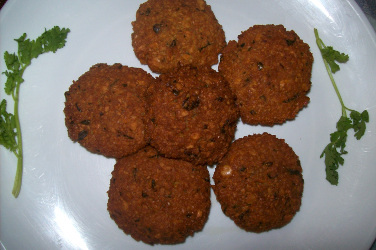 Batata vada is a popular snack item made with boiled potatoes. 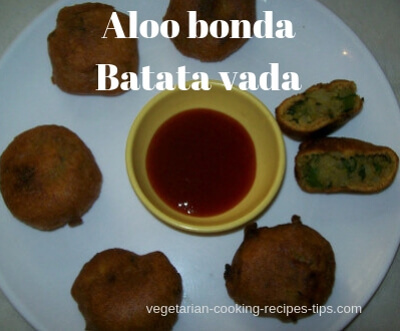 Batate vada is served by itself along with chutney or stuffed in a pav/bun to make Mumbai vada pav. 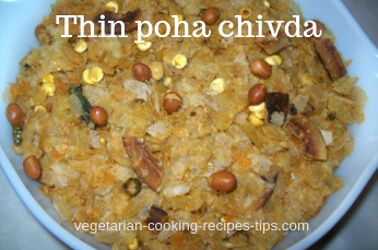 - This thick rice flakes recipe is made from thick poha / aval. made from thin beaten / flattened rice flakes as a easy snack. Diwali festival snack. Keeps for 3-4 weeks. Poori is Indian fry bread, popular all over India. It is made with whole wheat flour. 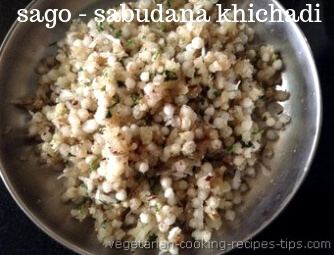 Serve with potato masala or chutney or pickle or curry. 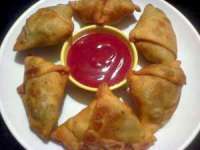 Vegetable samosa is usually made with potatoes and peas.